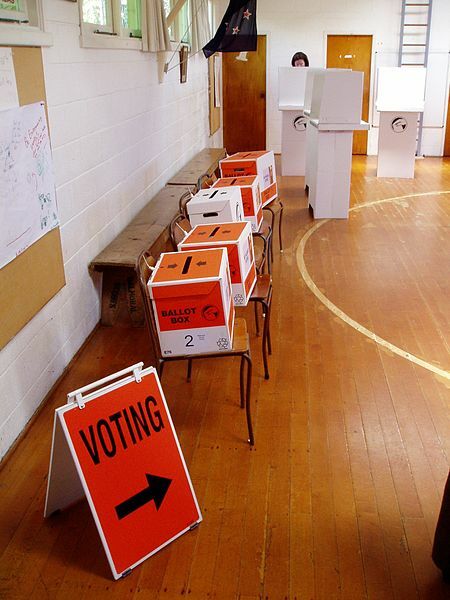 After a public vote to keep New Zealand’s Mixed Member Proportional Representation electoral system last year, the government is holding a review to see if the system can be improved in any way. Public submissions are open until the end of the month, and I finally got moved to write one. I will post a link shortly, once it’s up on the Review website, but meanwhile here is my two-cents worth on a couple of the key questions. Should the one electorate threshold rule be changed? In New Zealand’s system, parties can gain seats in parliament in two ways: either by winning 5% or more of the party vote, or by winning one electorate. A party that wins an electorate then gets other MPs into parliament according to its proportion of the party vote, even if they failed to win 5%. The public doesn’t like this – it feels like losers riding into parliament on a winner’s coat tails. But it’s important. The purpose of the electorate seat threshold is to ensure that interests and perspectives that are focused on a particular location get represented in parliament. This is important in a country like New Zealand with big electorates and a population concentrated in relatively few centres. Without it, local distinctiveness doesn’t stand a chance against big agglomerations. The one-seat and coat-tails rule is an important mechanism for getting minority and geographically localised perspectives represented, which is what a good electoral system should do. What should happen when a party wins more electorate seats than it would be entitled to under its share of the party vote? There is a worry in NZ when a party wins, say, 20 electorate seats but strict proportionality means that it is only entitled to 18. This can affect who is invited to form a government, and is called “overhang”. But rather unfashionably, I think the answer to the question above is “Nothing!”, because the possible solutions are worse. Solutions might include docking the party electorate seats, but that would rob a local electorate of their local voice, which cannot be justified. They might include allowing more supplementary list members from other parties to compensate, but that would introduce potentially dozens more MPs into the house, for which there is no public appetite, and no available seating. The problem of overhang really is minor compared with these. Actually, overhang would be less of a problem if New Zealand had a much bigger House of Representatives – more MPs, that is. It would help with the local distinctiveness problem too. But imagine selling that to an electorate that already thinks MPs are lazy good-for-nothings! I’ll nurture that as a vague, unrealistic fantasy. But at the end of the day, what’s really going on here are not problems with the electoral system per se, but impatience with politics. That politicians should try to reduce the amount of politics is both ironic and misguided. Politics is embedded in a democratic society, and we should celebrate the fact that we argue about things rather than choosing other methods — central diktat, bureaucracy, or pulling guns on each other. Just ask the Egyptians what they prefer. Previous Previous post: Public Space book out at last!